The Tunisian Foreign Ministry Wednesday asked Ankara to act quickly and take actions against Turkey-based Egyptian cleric Wajdi Ghanim for his insults to Tunisian President that he described as “a criminal, apostate and liberal” following his support for gender equality between Tunisian men and women and permission to Muslim Tunisian women to marry non-Muslim foreigners. Turkish ambassador to Tunis was summoned and he reportedly agreed with Tunis over the cleric’s comments. The foreign ministry also told the Turkish envoy that it is unacceptable that the cleric “is using Turkey as his base to assault the Tunisian state and its symbols”. Wajdi Ghanim caused waves in Tunisia on August 18 in a video in which he attacked the North African country and its president over the proposal to ensure gender equality in inheritance rights and to allow Muslim Tunisian women to marry foreign non-Muslims. Ghanim called both President Caid Essebsi and his nation apostates, adding that the President is a criminal and liberal. Ghanim’s native country, Egypt, is reportedly poised to help Tunisia lodge a serious complaint with Ankara. 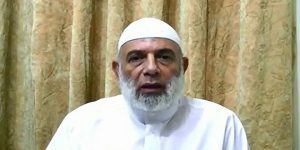 An Egyptian lawmaker requested that Cairo provides the necessary documents and records proving crimes committed by Ghanim who is said to be close to outlawed Muslim Brotherhood, online media huffpostmaghreb.com reports. The lawmaker also noted the Egyptian cleric received funding from several countries, including Qatar, to sow unrest in Arab countries, support terrorism and brainwash youth to adhere to radical Islam. Already in 2014, Ghanim made the news after he criticized Tunisian liberals and stood against the organization of elections, which, he said was against the Islamic Sharia law.